The invitation card meant for Hindu guest had pictures of Ram and Sita while for the Muslim guests, the invite was printed in traditional Islamic style. "It is a goodwill gesture for my Hindu brothers," said the bride's father. 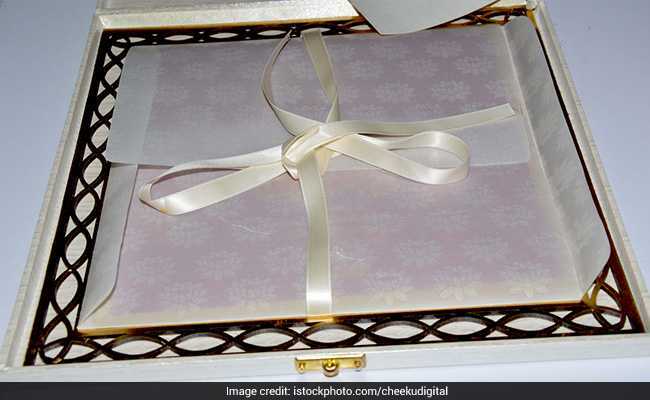 Sultanpur (UP): Sending a message of communal harmony, a Muslim family got special wedding cards printed for their daughter's wedding to invite their Hindu guests. The family, belonging to Uttar Pradesh's Baghsarai village, got two sets of cards printed separately for the Hindu and Muslim guests. Mohammad Salim's daughter Jahana Bano married Yusuf Mohammad on April 29. His son Azad told PTI, "Around 250 to 300 cards were printed for the Muslim guests in traditional Islamic style, while 130 to 140 cards were printed for the Hindu guests in the shape of a calendar (scroll) with the pictures of gods and goddesses." The invitation card meant for Hindu guest had pictures of Ram and Sita and auspicious Hindu symbols like "kalash" (pitcher), "diya" (earthen lamp), banana leaves and a "pooja thali" (plate) with coconut, flowers and fruits printed on it. "It was the idea of the entire family...we have friends among the Muslims as well as the Hindus," Azad said. "There was no objection to the special cards either from our relatives and friends or the groom's family," he added. To a question on whether the family would follow the practice in the future, Azad said, "There is nothing wrong in it...it's only a gesture, welcoming them..."
Mohammad Salim said he would be happy if this gesture helped bridge the gap between Hindus and Muslims. "It is a goodwill gesture for my Hindu brothers. If we show respect to their gods, they will definitely show respect to the Muslim community," he added.